Opened 1839 as "Teatro Principal". 1903 renamed in honour of the Spanish tenor, Julián Gayarre (1844-1890). 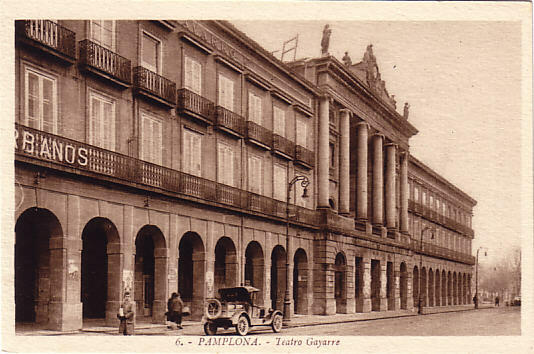 Front Text: "Pamplona - Teatro Gayarre"